Learning a foreign language can be time-consuming and soul crushing. You never seem to have enough time to read grammar books or enough space in your head to remember various forms of a verb. When you have a 9-to-5 job, both spare time and brainpower tend to shrink down to nothing. It seems impossible to find time for anything else on top of work, social time and, in some cases, parent responsibility. However, that does not have to be the case. This is the single most important step. You need to get into the mindset that you can do it. 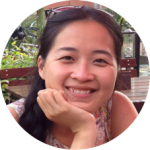 It is challenging to juggle a demanding career and mastering a new language, but not impossible. Your chance of mastery is high providing a structural plan, good teachers, learning companions, and smart time management tactics. I will give you the strategies for those later, but this first thing you need to do yourself. Your job is mentally demanding so, by the end of the day, your brain is too tired to take in any new words or grammar rules. You have a busy social life, which takes up most evenings —the time you could have used for language learning. Between work and family, you don’t have time to go to language classes. Your job is stressful and you don’t need more stress from trying to learn new things. The underlining obstacles either come from misunderstandings of the learning process or the lack of a good guidance. You need to know that learning a language is exciting and should involve no stress. When you do it right, you can fit it into your normal working day elegantly and deftly. It doesn’t have to take you away from your social life, it adds colors to that life! You will find out why in strategies number 3 and 4. Let me say it again, it is possible to learn a foreign language while working. Still, your time is limited so you want to prioritize. Start with the reasons you study this second, or third, language. If you are learning a language so you can read materials that are useful for your profession but not translated well or enough into your mother tongue, focus on reading skill. That means building up a wide vocabulary and learning the grammar. Conversely, listening to the news on current affairs is irrelevant, for now, and could be disheartening. Don’t spread yourself too thin by trying to improve every skill. Let’s look at another scenario: You are learning Japanese because there is an opening in Japan for a position that you want. In this case, basic conversational Japanese will help you quickly settle in at the new office and new city. Forget about the spelling and grammatical varieties, concentrate on learning to speak and listen to the everyday conversations. Don’t waste your valuable hours on the formal forms of Japanese, for example. Learn the basics and let yourself be understood. Once you know your priorities, make a plan. If you have a personal mYngle tutor, discuss it with him or her. Tell your tutor the specific skills you want to improve, how much time you have solidly for classes or training. It is important to tell them about your habits, routines, and interests to find the best approaches together. For example, if you commute 30 minutes by train and you love sports, a sports podcast in the language you are learning would be a great add-on. You will more examples in following strategies. With a full-time work schedule, you might find it difficult to set out a straight 1 hour every evening to learn. However, you can accumulate that hour throughout your day. Think about your time outside of work. Activities performed routinely, such as washing the dishes and ironing your clothes, aren’t mentally demanding. You can absorb a new language at the same time. Try having the radio on when you cook. While stirring a sauce, for example, you can direct your attention to voice and try to understand the conversation. Otherwise, soak in the sound and familiarize yourself with the native speech. You can also combine language learning with hobbies. When you are doing something you like, your brain is stimulated and the combination helps to keep your enthusiasm for the language high. Let’s say you like to read and you are learning French. Start with a hilarious children book like Le Petit Nicolas. By the same token, if you like cooking and are learning Spanish, a foray into making tortilla de patata might be fun. I did that with my Dutch, which was tough at first as I would miss out an ingredient or two. The food got better gradually and I really enjoyed the experience. I’ve heard a lot of people complained about not having anyone to practice with outside the classroom, even if they live in the country whose language they are learning. It might sound absurd but there are elements of truth. While our online network is getting bigger and bigger – like 700 Facebook friends and 400 Instagram followers, our real life cycle is getting smaller. It is down to your partner, family and a handful of childhood friends who understand you before you even say anything. They are a no-go for language partners. And online, you use emojis. This is the time to get creative, or to download some apps. They are the interactive alternatives to language exchange forums, the vestige of early globalisation era. Some forums are still around but most people were on there for the wrong reasons, so I would not recommend them. Try apps such as Tandem, HelloTalk or WeSpeke, instead. You register an account, add your native language and the language you want to practise, the apps would suggest matches for you. Don’t just stay online, though. Step out of your comfort zone and find people in the neighbourhood. If you live in a big city with a university, it’s likely that they would have language clubs you can join. Learning Chinese? Go to a new Chinese restaurant and see if you can practice speaking with the waiting staff. Alternatively, find a Meetup group and go to the meetings. The time you are at work takes up to a third of your day and sometimes more if you have to commute. It seems like a waste to ignore that chunk of time totally and not learn anything at all. If you like listening to music while working, why not listen to foreign songs instead? 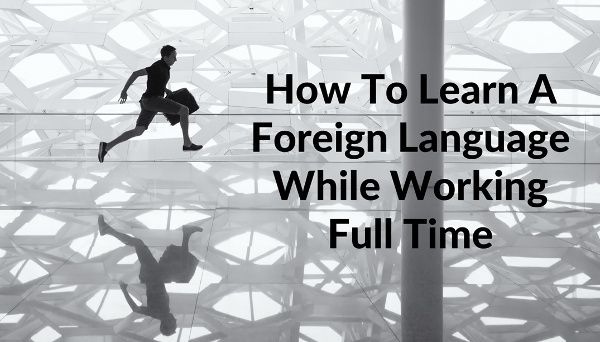 These are the five strategies that would help you learn a foreign language while succeeding in your career. With mYngle you can get personal support from private tutors, so that you can enjoy the flexibility of learning and balance it with your professional life. This entry was posted on Monday, January 9th, 2017 at 4:59 pm	and is filed under Language Learning. You can subscribe via RSS 2.0 feed to this post's comments. You can comment below, or link to this permanent URL from your own site. Your comments will appear immediately, but I reserve the right to delete innapropriate comments.